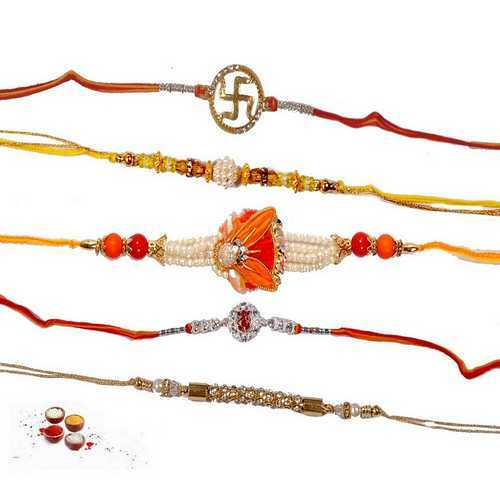 This is a set of 4 jeweled rakhis in four different designs and motifs. 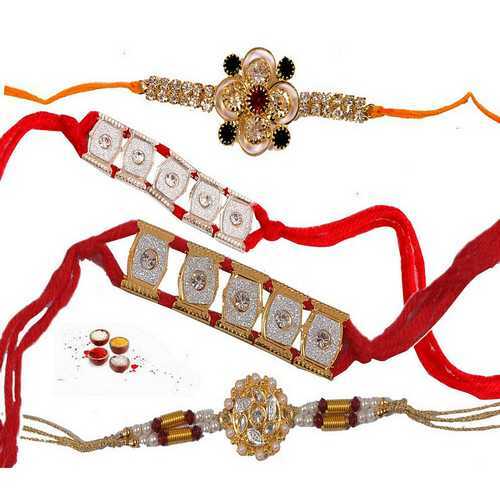 All rakhis in the set are elegant and attractive which are surly to be loved by your sweet brothers. 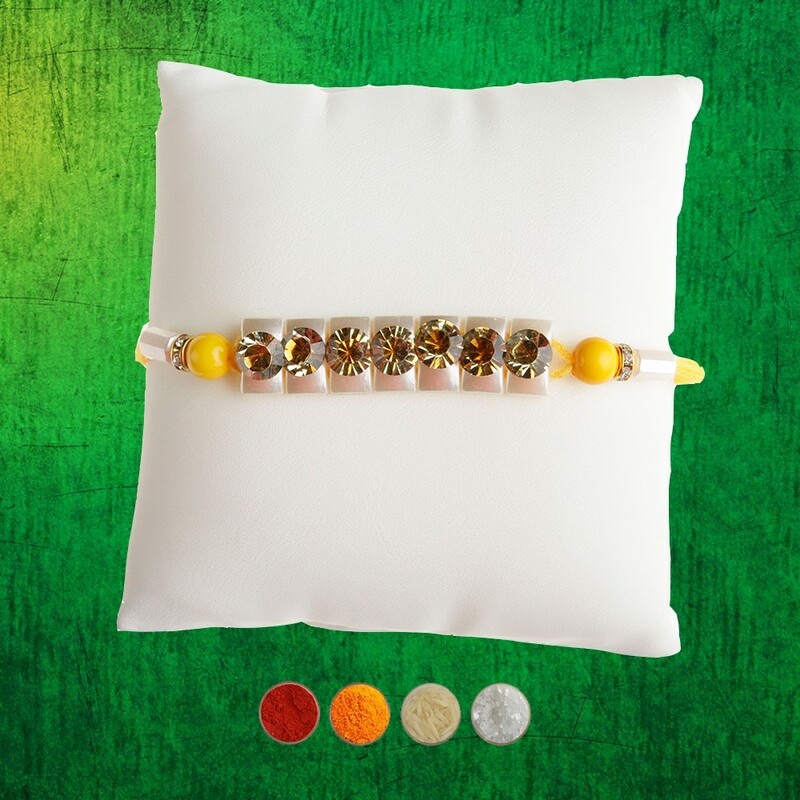 The first rakhi is an extremely jeweled rakhi in auspicious yellow thread decked with premium stones, green stone, red stone (kundan) and diamond aura shining white stones in golden materials. 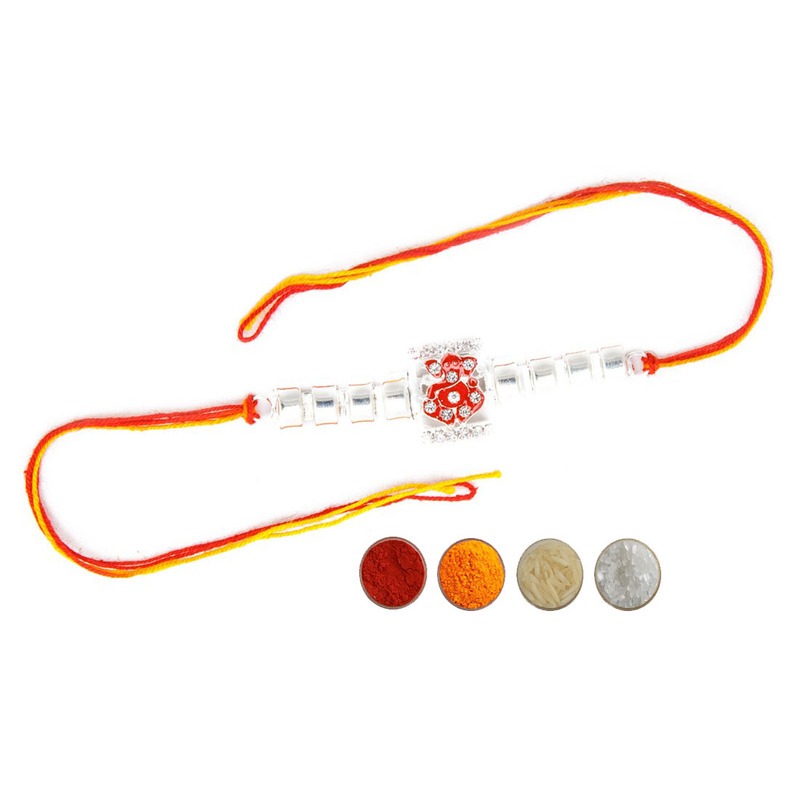 The second rakhi is decked with silver and diamond aura premium white stones or american diamonds in sliver color materials with red auspicious threads. The third rakhi is same in look having studded with american diamonds on golden materials. 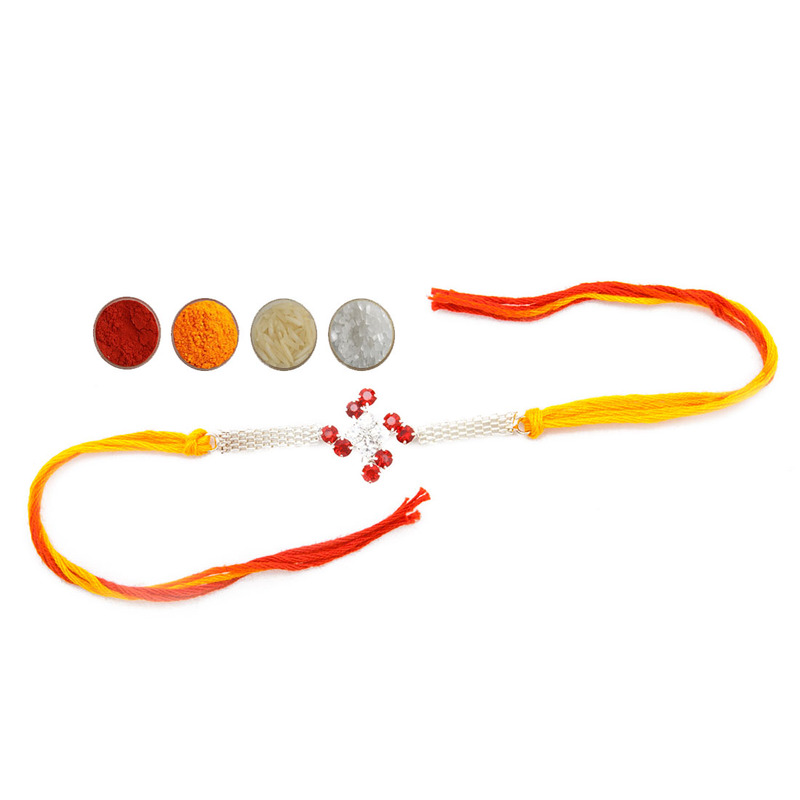 The fourth rakhi has golden threads and decked with white stones, golden pipes, red beads and shining white pearl like beads. 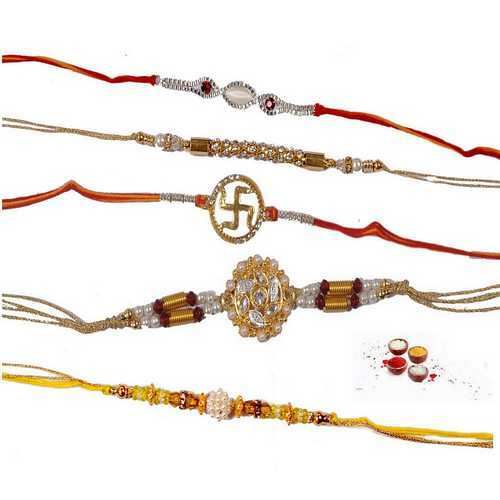 Send your love and wishes for Raksha Bandhan to your brothers sending these beautiful rakhis online to India. We are offering these rakhis with complimentary Roli, Chawal, Chandan and Mishri in very attractive packaging.